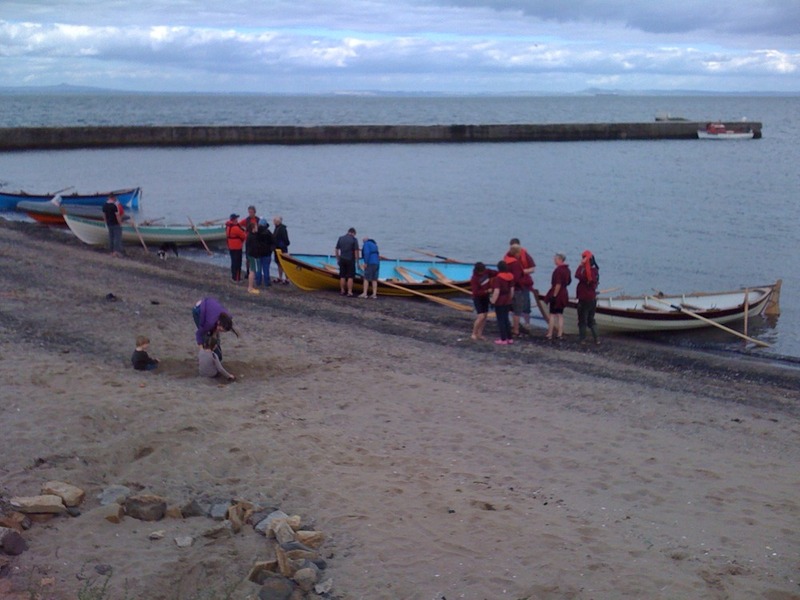 Thanks to David Nolan for posting these on the Scottish Coastal Rowing ‘pool‘ on Flickr where you can find many more photos of Scottish Coastal Rowing events – and post your own as well! 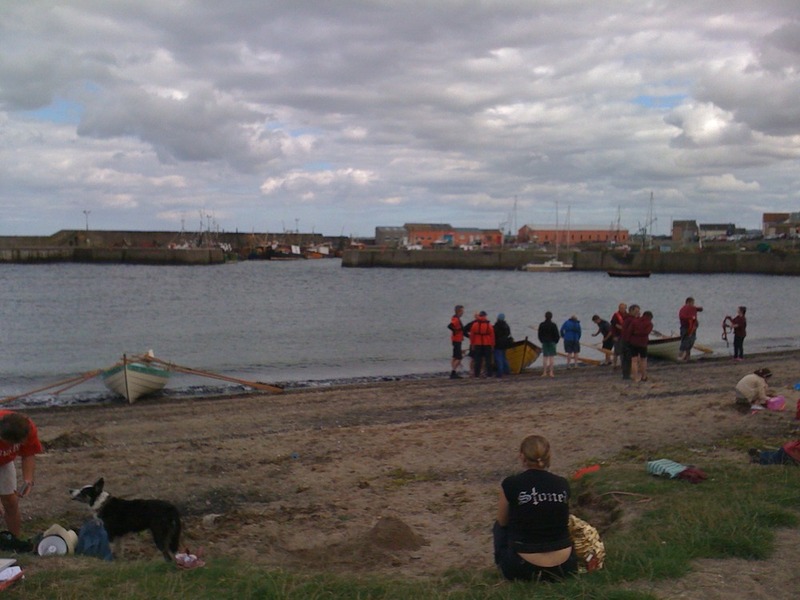 Port Seton invited us to join them for a social at their harbour. We decided rowing there and back would make the day even better. 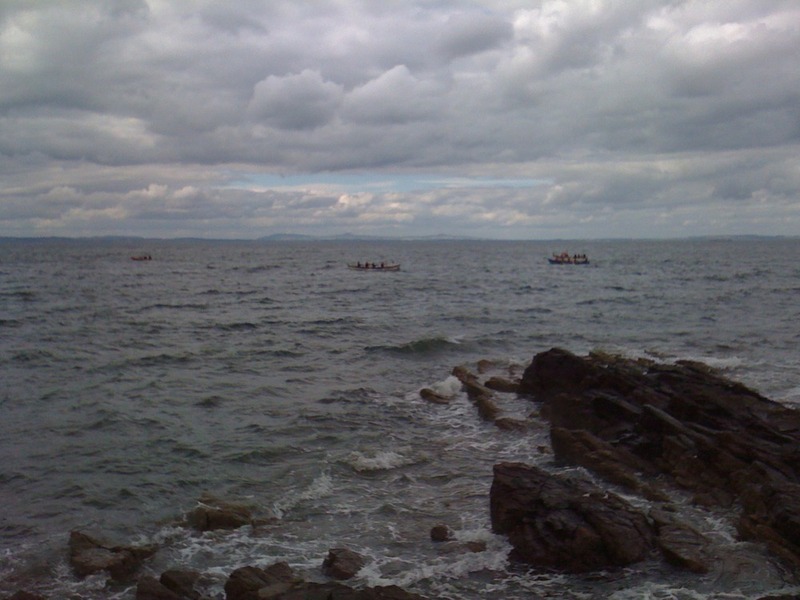 The outward voyage was successful, if a bit bumpy, with the strong wind behind the boat helping move the boat along. 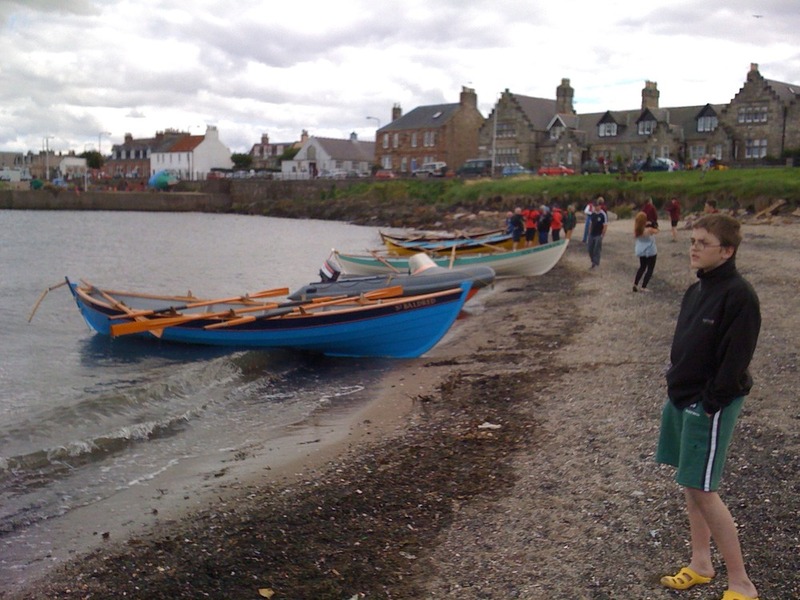 Arrival was soon followed by some races as the Eyemouth and North Berwick skiffs were also present – though they arrived by trailer. The heavy seas and high winds made the races hard work. 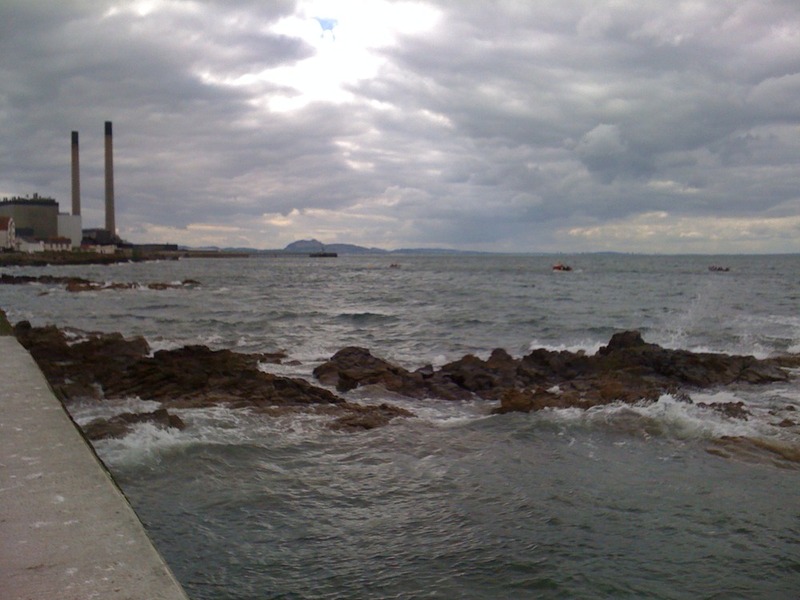 And also led us to decide that rowing back was not a realistic option – Arthurs seat was a long way across a stormy sea! Many thanks to Port Seton for their hospitality: mountains of homemade cakes, tea and coffee – and the loan of their trailer to get Icebreaker back to her home port. Sounds like one to add to the RowPorty touring calendar! And well done to Ullapool for their success against our neighbours.